Here are a couple of fast but cute cards I made to showcase the new My Pink Stampers stamps. This new set I believe are MUST HAVES for all of them. They are so versatile. Love them!!! 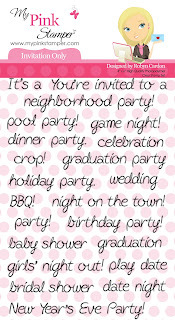 This next card I made using the My Pink Stampers Invitation Only stamp set. This one is really versatile. The top two stamps say “You’re invited to a” and “It’s a” then the stamps below it you can combine with those two phrases. 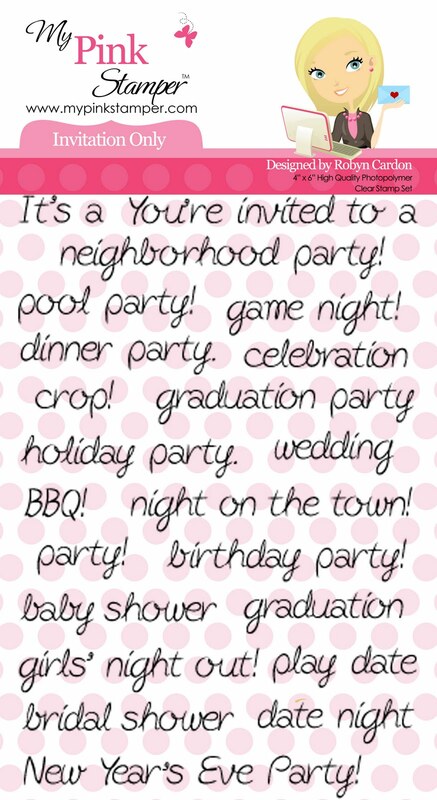 So you can say ‘You’re invited to a neighborhood party!’ or ‘It’s a BBQ!’. 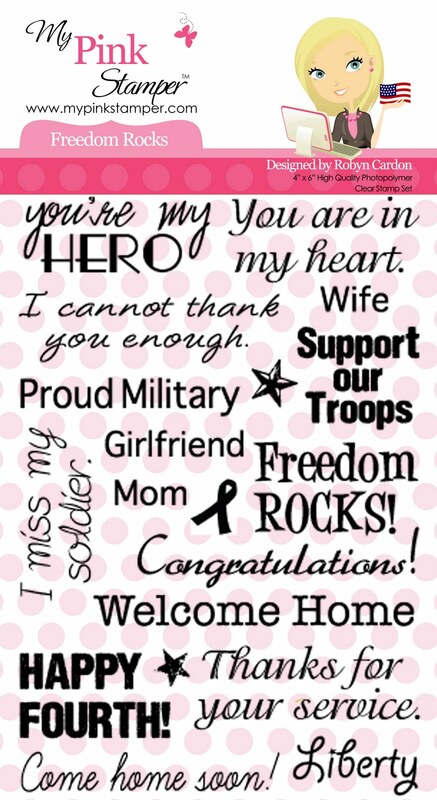 OR you can use the phrases separately, which is what I did w/ this card. I also cut up my stamp (GASP). That is the one thing I love about clear stamps. You can cut them up to help you layer them like you need to. This sentiment was originally on one straight line. Imagine Nursery Tails – Used the Layout page from Nursery Tails at 4.5”. I cut the house from one of the art images as a layer piece alone at 4.5”. Those cards are so great!!! !